On the heels of launching the DocuSign Agreement Cloud—its suite of products and integrations for digitally transforming how organizations prepare, sign, act on, and manage agreements—DocuSign Inc. (NASDAQ: DOCU) today announced a $15M investment in artificial intelligence software leader Seal Software. 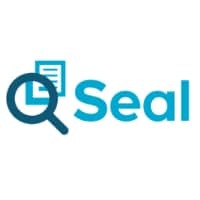 The news expands the partnership formed between DocuSign and Seal Software early last year, which saw Seal’s artificial intelligence-based agreement discovery, extraction, and analytics solutions offered as a pre-integrated extension to DocuSign eSignature. This builds on the steps DocuSign has already taken to bring intelligence to its suite of products—including the acquisition of the IP rights of machine learning startup Appuri, another move centered on AI technology, in December 2017; and the acquisition of SpringCM, with document indexing and text search, in September 2018. It also reflects the increasing importance that AI technologies play in helping to automate and connect a company’s entire system of agreement—allowing business to be done faster with less risk, lower costs, and better experiences for customers, partners, and employees.